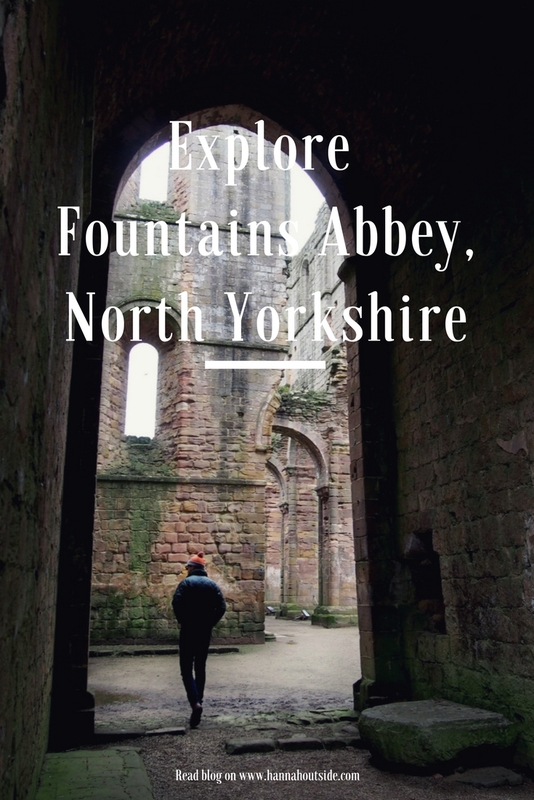 Fountain’s Abbey must go on your bucket list, right now. Go on, write it down and commit it to the list. 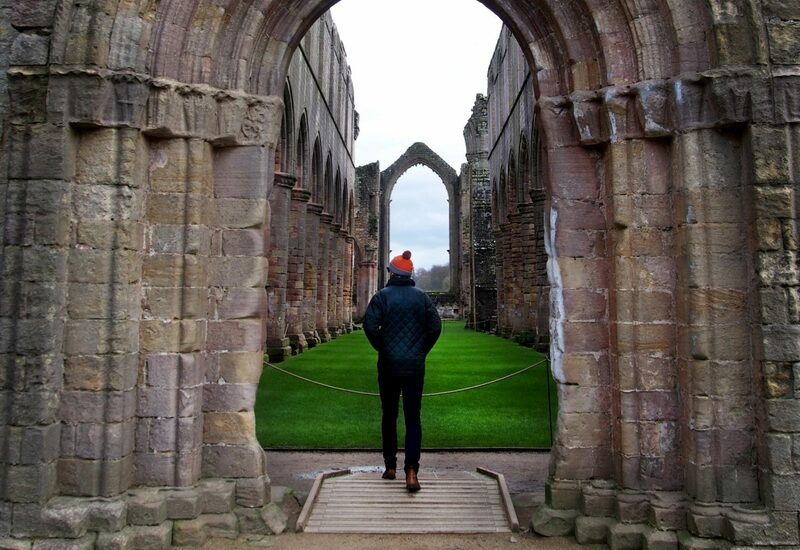 There’s an interesting story behind the Abbey, fraught with tragedy but also determination, sacrifice and a testament to the sheer will of man-kind. Yet, even if you’re not interested in the story behind how this place came to be, it’s an incredible sight in its own right. 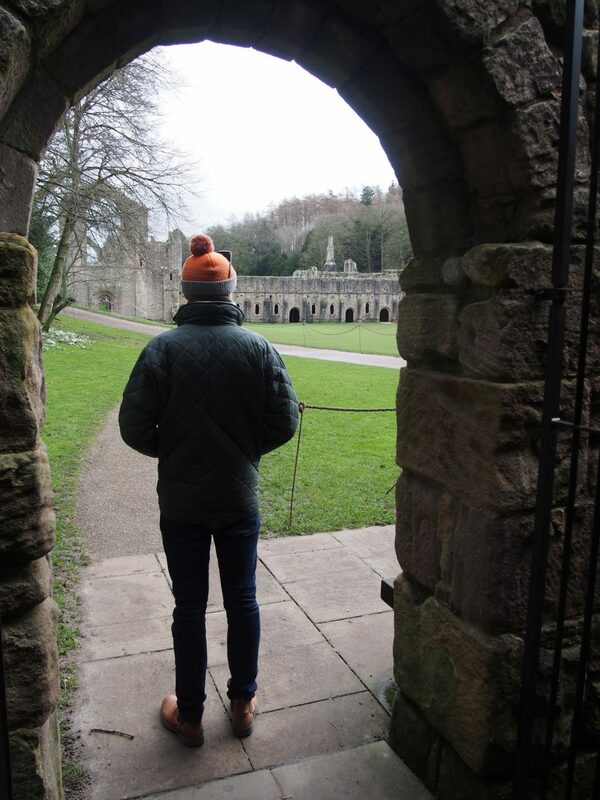 Last March we dropped by Fountains Abbey, which was recommended to us by a friend as, due to my back, I was unable to join them on the bike ride we had originally planned. This turned out to be a great choice, and fun way to spend the day. 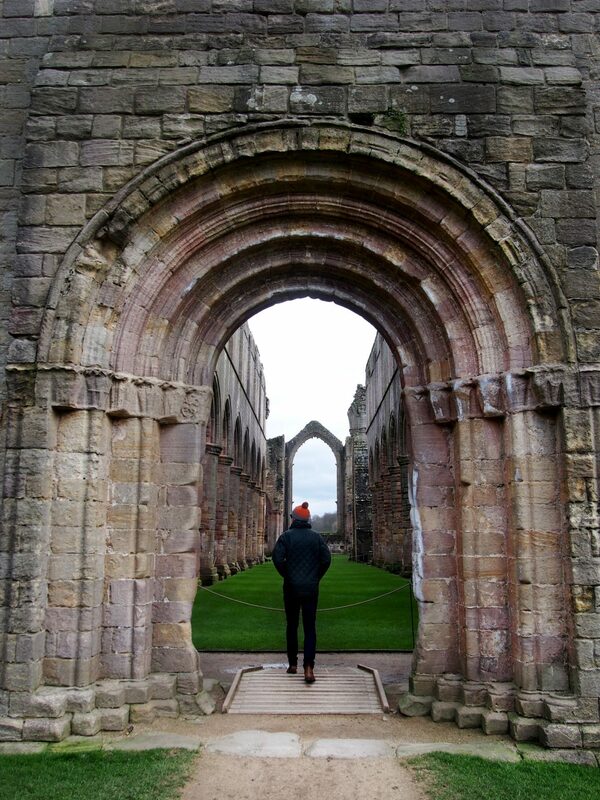 After whizzing through the member’s gate, we set straight out for the Abbey. It’s a short walk down into the valley on well maintained paths. 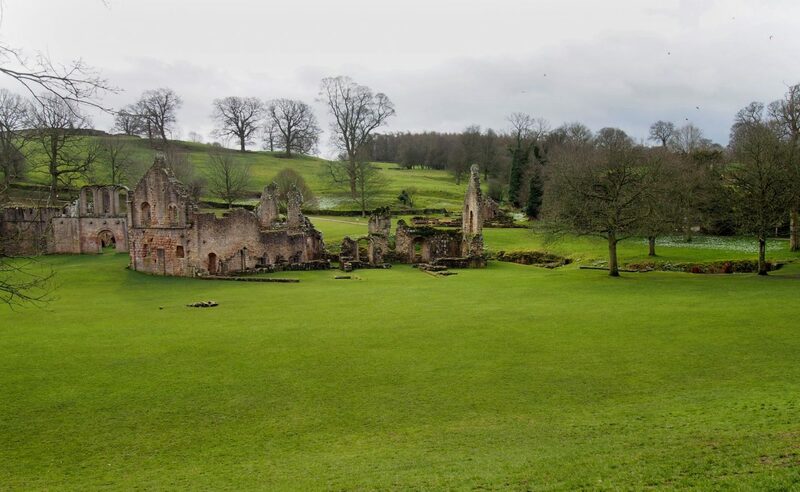 The Abbey is set down in the valley and your first glimpse of it is as you stroll across the top path. I say glimpse because trees and undergrowth block most of the views but the small sighting we had whet our appetites for more – it looked like one impressive building. It didn’t disappoint and as we dropped down, rounded the corner and came out of the trees it rose high up above us. Both of us thought aloud, wondering just how they’d managed to build something as large and spectacular as this all those years ago. 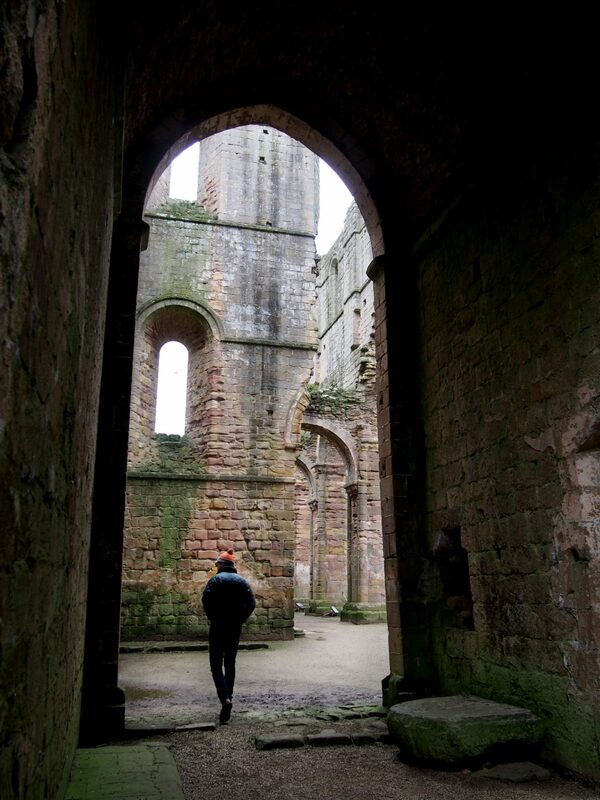 Fountains Abbey was founded in 1132 by 13 monks who wanted to live a simpler life. They didn’t feel comfortable by the life style they saw their peers leading, and wanted to remove themselves from the indulgent pomp and ceremony that seemed to go hand in hand with life at St Mary’s, York. They wanted to build themselves a devout life, following the Rule of St Benedict. This is how they came to be at Fountains. The first winter was tough, and they barely scrapped by yet they devoutly followed their religion, even sticking to the hours of prayer without question. These hours of prayer went throughout the night. In fact, I feel that they spent a good amount of time in prayer. It’s mind-boggling to think that these men lived like this. It’s not something that I, for one, can even comprehend and yet these men stuck to it no matter how hard the times. However, they knew that they needed help if they were going to survive the second winter and wrote to Bernard of Clairvaux in France, requesting to join the Cistercians. 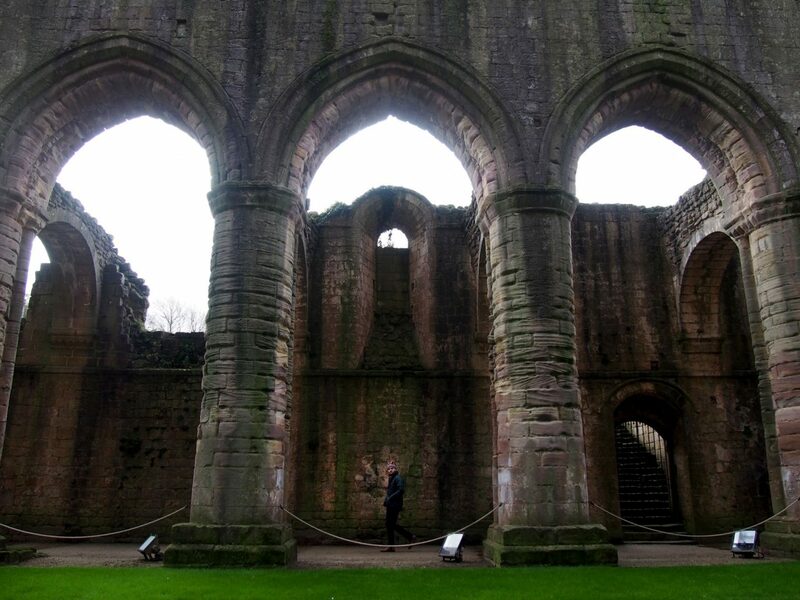 They were happily accepted into the Order and so the Abbey started to flourish. With the new Cistercian Order came the introduction of the lay brothers. To put it in simple terms, these lay brothers were labourers. They’d come to farm the land, providing the Abbey with food and produce to sell. 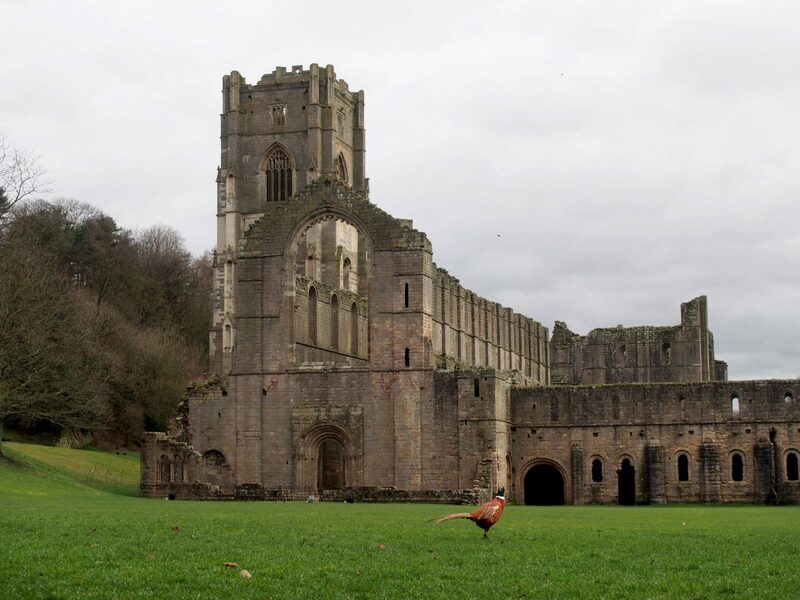 IT brought they Abbey many riches in the earlier years, seeing a rapid expansion of the community. It also allowed the monks to dedicate as much time to God as possible. This didn’t last, however, and bad harvests coupled with the Black Death struck the Abbey down. Then the last blow came in the form of Henry VIII. 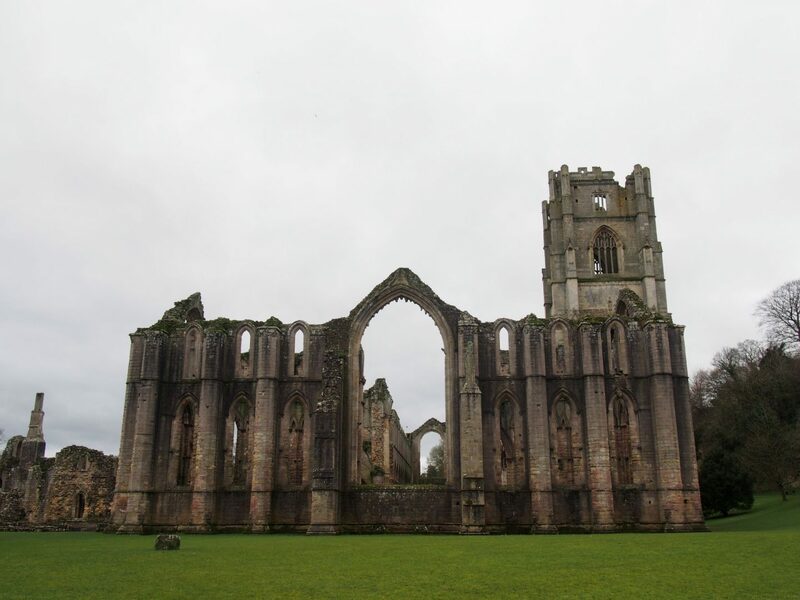 As a king who liked to very much get his own way, the Abbey was closed by his Dissolution of the Monasteries act. After this, it remained in private hands until it came into the possession of the National Trust in 1983, and there it stays. 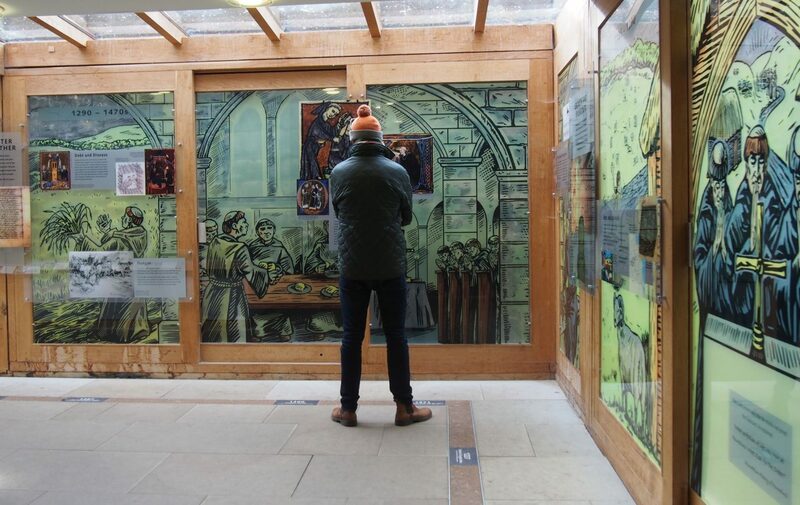 You can find all of this information (much more and in much more detail) in the visitor’s centre. 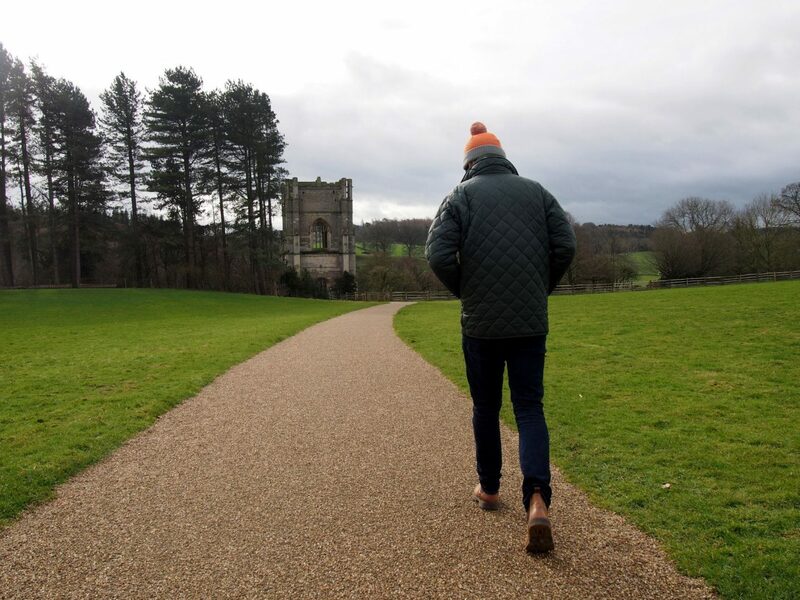 We did wonder on down to Studley Royal but ran out of time to really explore it before we needed to hit the road. 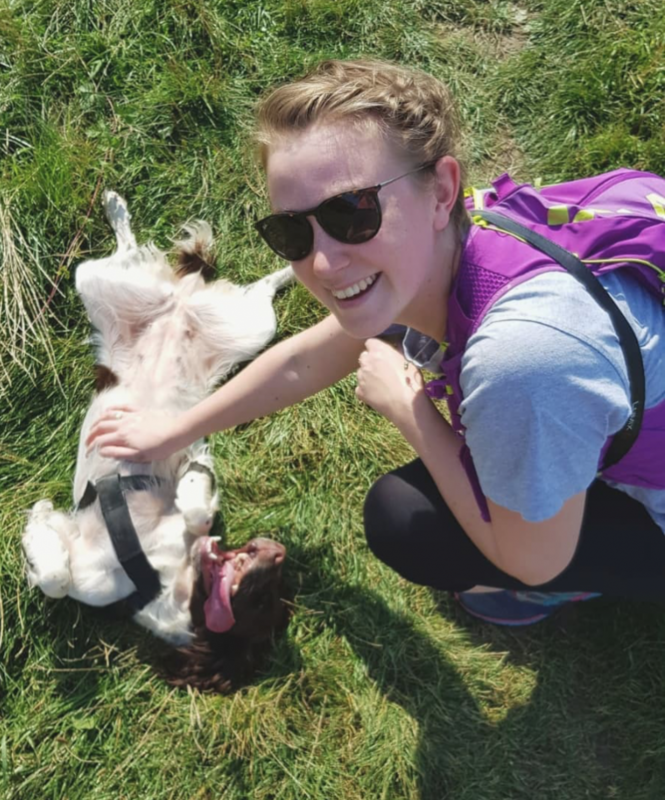 Plus, stomachs were loudly growling and we’d left our lunch in the car and if there’s one thing you don’t want to deal with, it’s a hungry Tom and Hannah. So we set off home. If you’re visiting Yorkshire, I cannot recommend this is place enough as a way to spend a day. You really must come and explore for your dose of history and culture. A nice write up. Fountains is a great place to spend a day, we’ve been many times living fairly close by.